As usual when planning a trip to somewhere new, I click on the geocaching map of the area and let the caches lead me. I have no hard and fast rule as to what I’ll target: sometimes it’s caches with high favourite points, other times it’s a special cache type (virtuals, webcams and EarthCaches usually), and occasionally, something will catch my eye that just has to be looked at closer. When we recently visited South Wales, I spotted Church Micro 10000 on the map not too far from where we’d be staying in Newport. Since every thousandth cache in the series tends to be something particularly special, I suspected number 10,000 had to be really unique, so I convinced the muggle to do a detour on our way to Bristol. 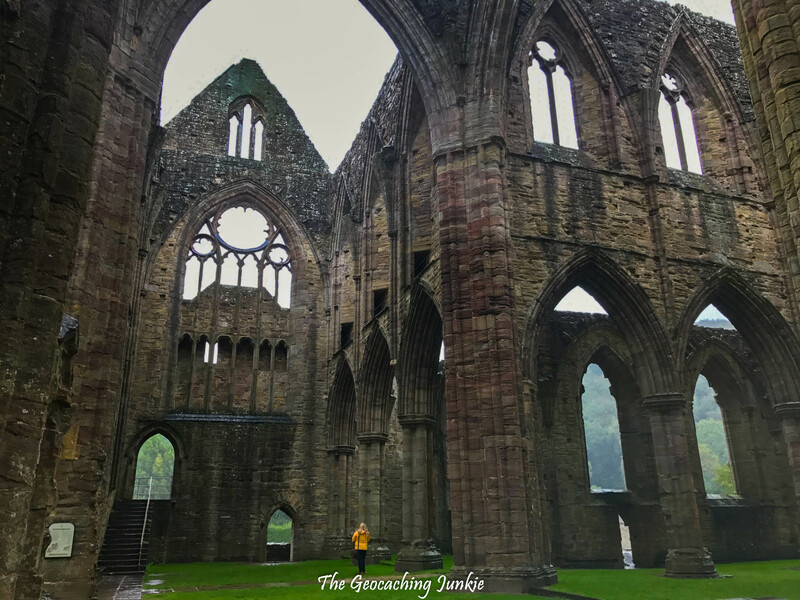 In contrast to the gorgeous sunshine we had the day before in Cardiff, the weather for our visit to the village of Tintern in Monmouthshire was drizzly and dull. 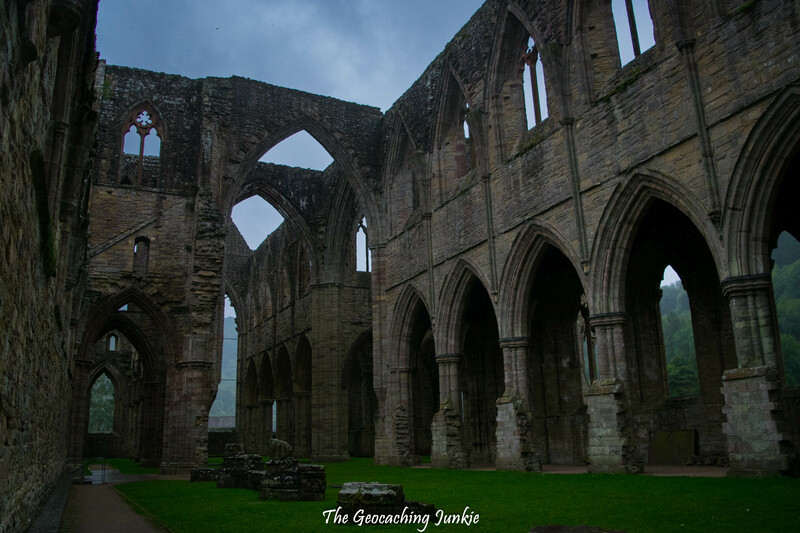 However, the imposing ruin of Tintern Abbey looked very impressive set against the overcast sky. The dreary weather also meant that the area wasn’t crawling with tourists so we could really explore undisturbed. It’s easy to see why this building was chosen as the 10,000th Church Micro geocache. I may be a lover of ruined castles and churches, but only a small few having me dropping my jaw when they first come into sight. The Cistercian abbey, the second ever in Great Britain, was first established in 1131 by Walter de Clare, Lord of Chepstow. Thanks to generous donations, the complex was expanded and upgraded over a period of 400 years, and little of the original 12th century abbey is still standing. The ‘White Monks’ of the Cistercian Abbey lived by the Rule of Saint Benedict, whose basic principles were obedience, poverty, chastity, silence, prayer, and work. 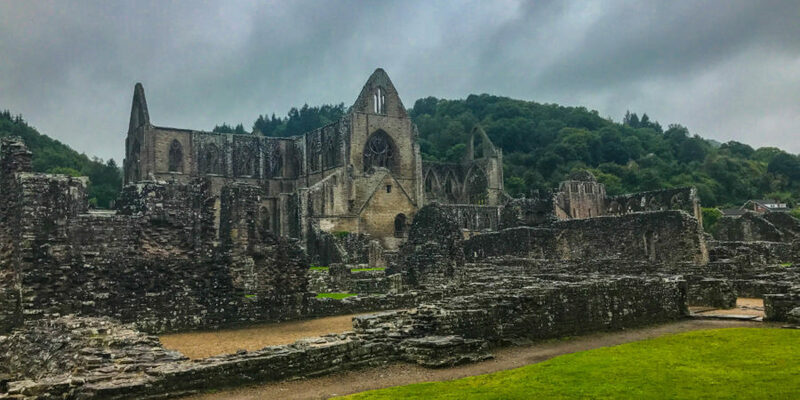 Tintern Abbey may seem huge, but it’s estimated that there were only around 400 monks in residence there at any one time. The Black Death plague of 1349 resulted in many deaths, as the monks tended to the sick in the immediate vicinity, with little regard for their own health. The drama of the Decorated Gothic Abbey is due in no small part to its immense size, and this is best seen from inside the magnificent church. The above photo of me standing in the North Transept demonstrates quite well the vast scale of the building. 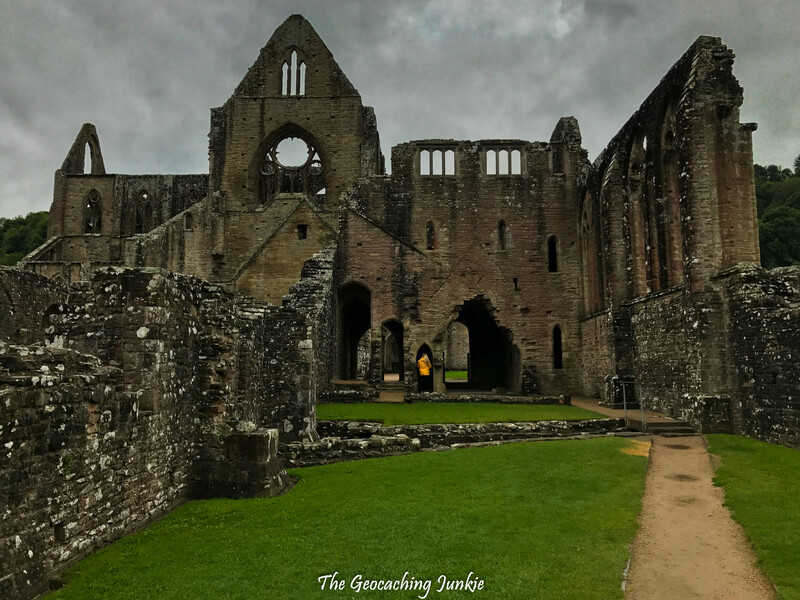 In 1536, the Abbot Wych surrendered the Abbey to King Henry VIII, following the monarch’s Dissolution of the Monasteries, which disbanded all monasteries, priories, convents and friaries in England, Wales and Ireland. 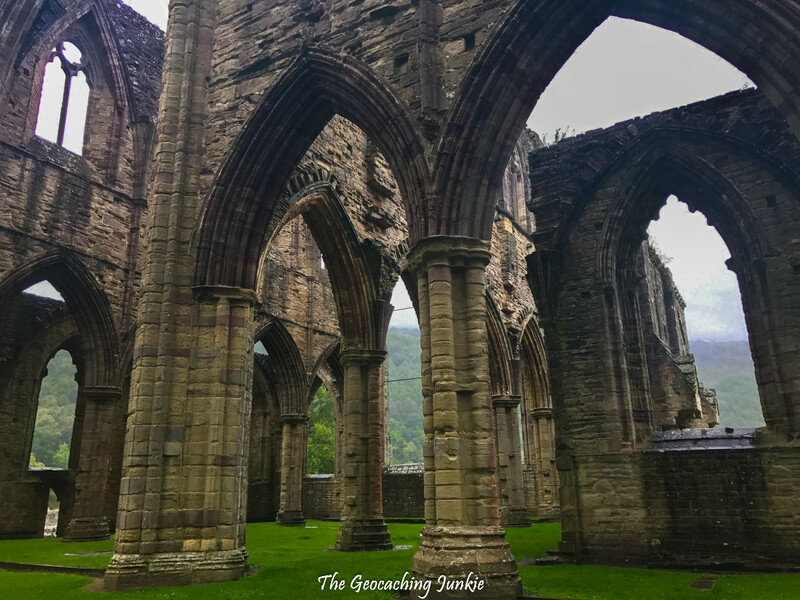 A way of life that had been lived at Tintern Abbey for 400 years came swiftly to an end and the building soon became ruined. If you’re taking public transport, get yourself to Chepstow (by bus from Bristol or by train from Cardiff), then catch local bus 69 to the village of Tintern; the bus stops very close to the Abbey, on the main road. If you’re driving from Bristol, using the Severn Crossing costs £6.70 for a standard car, but you only pay on the way to Wales, not on the way back. 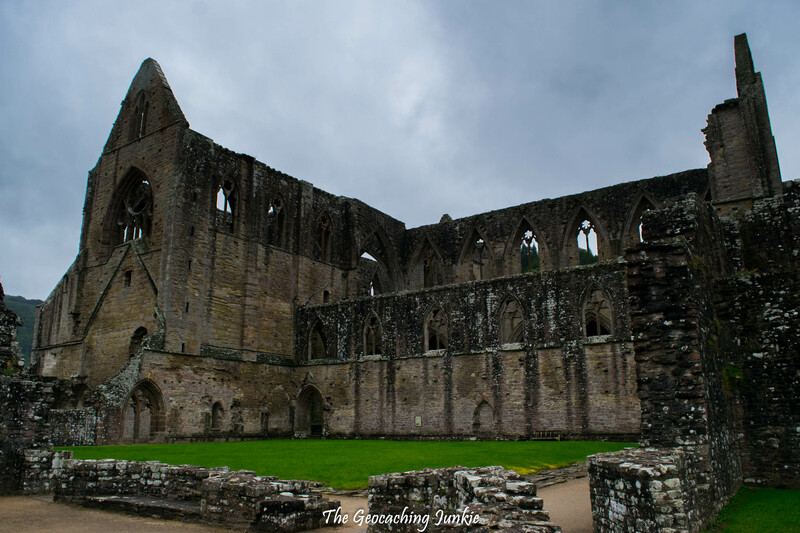 There is plenty of parking at Tintern Abbey, but you need to pay & display at a cost of £3. This charge is then deducted from anything you buy at the cafe or gift shop, including the cost of your entrance tickets for the Abbey. I read some Tripadvisor reviews that said it’s not worth paying to enter the Abbey grounds. I would have to disagree. While the entrance fee is a little on the steep side – £6.50 per adult – it would be a crying shame to visit without actually going in. Granted you can get some great of the exterior from outside, but you can’t really experience it without going in. 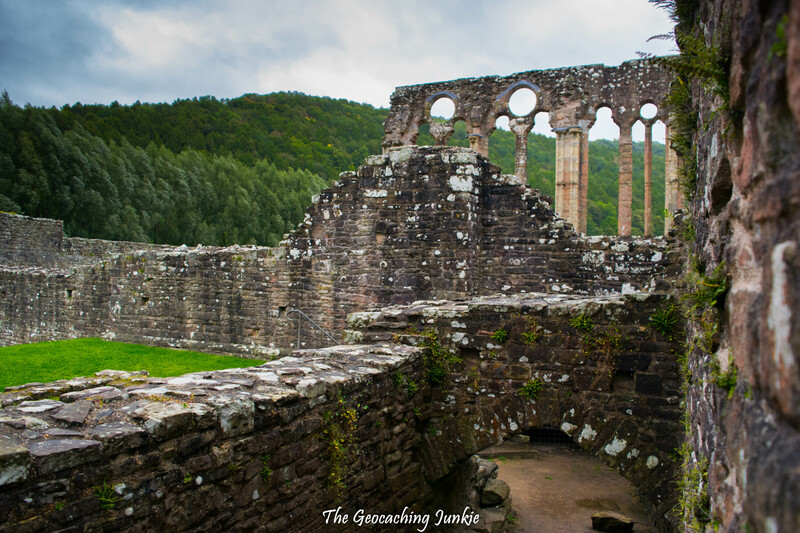 What amazing places has geocaching brought you? Let me know in the comments! Visited in my pre caching days, great place.